Pine Tree Spa Resorts is a luxurious boutique Resort in Darjeeling .The resort gives a tender environment to all its guest's. 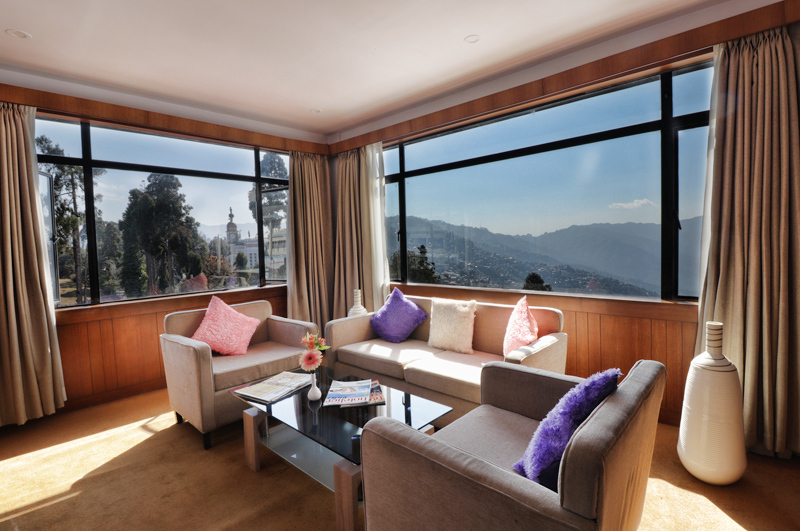 Every floor of this boutique resort has a lobby which gives a beautiful panoramic view of the Darjeeling town. The resort features a blue swimming pool right in its foot step which can be seen all along the gallery which also pursuits a sitting area along with a bar. The resort consists of a huge themed multi cuisine restaurant with a beautiful dinning space and a great pool view. Pine Tree Spa Resorts is a beautiful theme resort with the finest guest amenities & outstanding service standards to offer its guests a heavenly retreat with its in-house spa treatments, lounge and bar with the best varieties of world class wines, a vast swimming pool with bar one side and huge spacious open rooms/area for meetings and gala events. We have one of the biggest banquets for weddings or get together. Set in Darjeeling in the West Bengal Region, 3 hours from Gangtok, Pine Tree Spa Resort features a spa centre and sauna. The resort has an outdoor pool and views of the mountains, and guests can enjoy a meal at the restaurant or a drink at the bar. The rooms come with a flat-screen TV. Certain rooms feature a seating area to relax in after a busy day. You will find a kettle in the room. The rooms include a private bathroom equipped with a shower. For your comfort, you will find slippers and free toiletries.